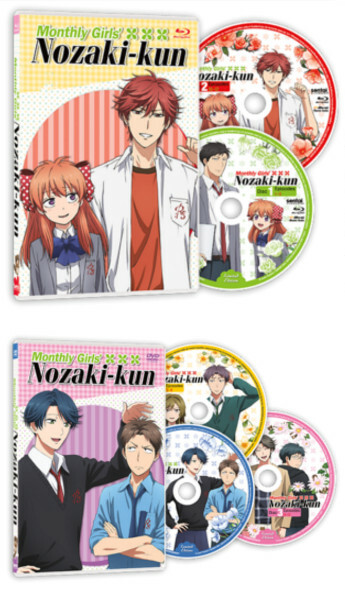 Monthly Girls' Nozaki-kun Premium Box Set Contents Revealed! 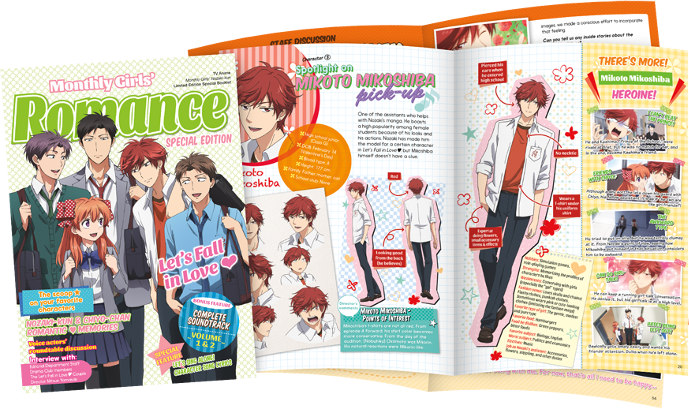 The moment many of you have been waiting for arrived earlier this week: the Monthly Girls' Nozaki-kun Premium Edition Box Set was announced! Today we're going to delve a little deeper into what all you can expect to find in your box set, but first let me tell you why this set in particular was such a big deal. 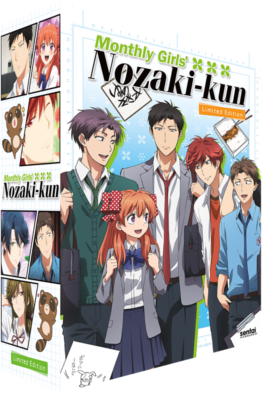 Initially, Nozaki-kun was scheduled to be a subtitled only release. This also happened to be around the time that a few people started inquiring about the release on our Ask Sentai blogs. It was then that we asked you all to let us know if you wanted a box set for the release, and of course, the response was pretty big: tons of fans messaged us on Twitter, left us messages on facebook and Tumblr, and sent requests to our info email. We even got requests from local fans at our Alamo Drafthouse screenings, specifically mentioning the Ask Sentai blog. 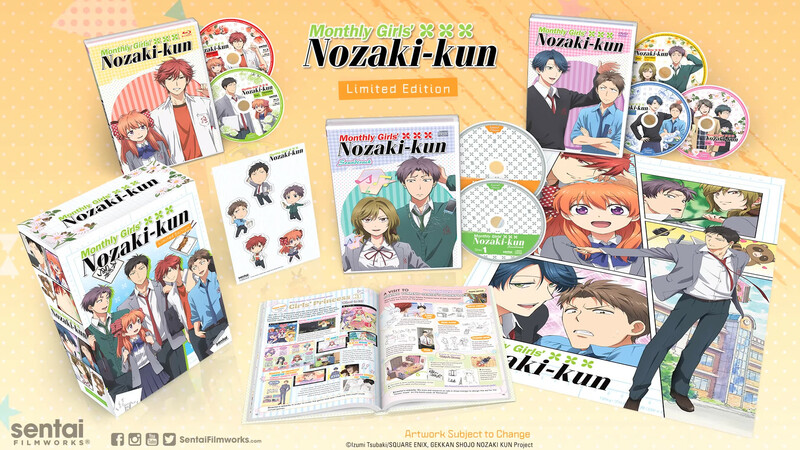 Now, this is pretty typical for any release that we put out, and usually there's a few requests here and there for box sets of those titles, but the influx of demand for a Nozaki box set was simply staggering. Good job! So, this is why we believe the Nozaki box set to be so important, enough to call it one of the biggest announcements of the year: because enough of our fans demanded it, enough people spoke up to request it. A big thanks to all of you who made this happen, we couldn't be happier with the outcome! Remember, all artwork here is subject to change, so what you see may be different from the end product. It's Summer! It's the Ocean! It's Training Camp! Me or the Sun...Which Do You Think Shines More? 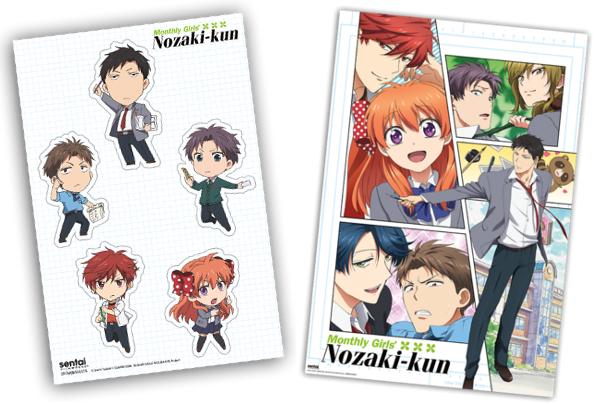 The Nozaki-kun shorts are all that you've come to expect from the main series and more. They are definitely something you'll want to take a look at immediately after watching the last episode. Along with the Blu-ray/DVD Combo, you'll also be getting a soundtrack loaded with songs from the show. The soundtrack comes in two discs and is jam packed with tunes, over SIXTY in all. The music in this show is catchy as all hell, so I'm sure a lot of you will be putting this to good use! 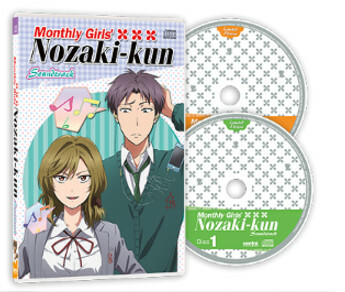 That does it for the Monthly Girls' Nozaki-kun Premium Box Set! Preorders will be starting soon on our site, stay tuned to our social channels for more info!